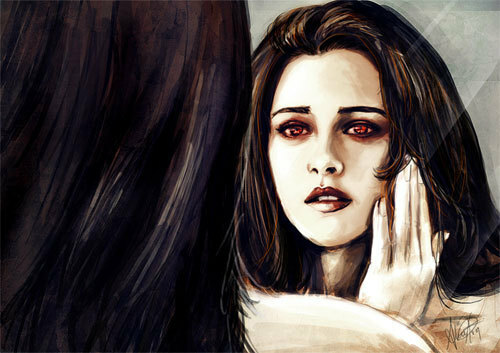 Bella Cullen-Vampire. . Wallpaper and background images in the Сумерки (серия романов) club tagged: twilight bella cullen vampire fan art. it`s eally beautiful but scary !